Raffles Place, Singapore – nami.mining is a brand new project by Nami Corp. This project is kicked off to create a stable and profitable investing channel for NAC Contributors, while still ensuring the requirements of conducting scientific research and developing new technology on the Blockchain basis. Blockchain is the fertile ground where FinTech companies aspire to exploit and apply its uses, and Nami Corp. is not an exception. nami.mining project emphasizes the thinking path of Nami Team, in which Blockchain is the core technology for any future projects. Our team has spent a lot of time and brainpower investing in advanced machinery and equipment to test develop products based on the Blockchain research. nami.mining wants to contribute to the future global network and be a part of Nami Ecosystem. This is the first step that helps Nami Corp. come closer to our near future plans, including: creating an independent platform, trying out and applying many algorithms into projects that will be invested and invoiced globally by nami.labs. This program offers unique opportunities to the Contributors and promises to return values on investment. First, the profit is 16 times higher than bank deposit rates. Second, by using the Pool mechanism, this venture is safer than others in the current volatile crypto market. Nami Corp. commits to follow our philosophy, which is putting our Contributors’ benefits on top. Investments to nami.trade is a wise decision because they are safe and transparent in our network. 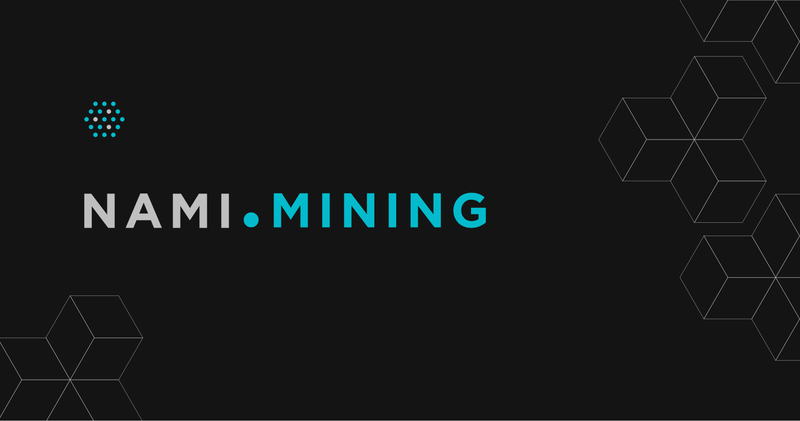 From now on, the nami.mining project will officially operate in parallel with other Nami’s products and our Contributors will have more options for their long-term investment plans. Details of this project will be announced at the Nami Special Event N.2 on March 10th.